Christine Ferea on BKFC 5 fight with Britain Hart: "I'll finish what Bec couldn't"
After picking up a spectacular first round TKO win over Jennifer Tate at Bare Knuckle Fighting Championship 3 in October 2018, Christine Ferea was certain that she would be next in line to fight for a title, the organization’s Police Gazette Diamond Belt. When champion Bec Rawlings signed to another fight for the promotion’s fourth event which was held in Cancun, and Ferea’s name was not on the contract, “Misfit” felt disrespected. Ferea and fans went to social media to express their discontent, questioning why she was not given the opportunity. 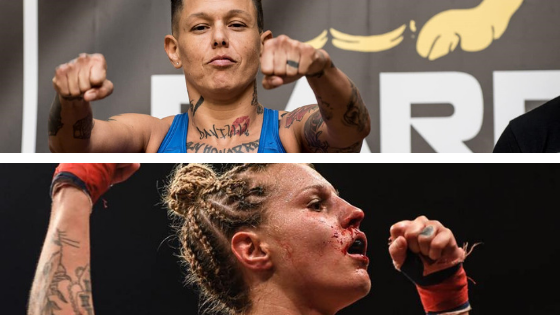 With Rawlings now having three fights with the BKFC promotion, Ferea feels the former UFC strawweight competitor needs stiffer competition. The problem however, is that Ferea would have to sit waiting on the shelf as “Rowdy Bec” recovers from her championship victory over the weekend. “The Queen of Bare Knuckle” Rawlings defeated organizational newcomer Cecilia Flores by way of unanimous decision, but lost a front tooth for her efforts. Rather than stay inactive, Ferea has agreed to a new bout agreement. Sources close to MyMMANews tell us that Britain Hart has signed the dotted line and will stand opposite Ferea in the squared circle come April 6 at BKFC 5 in Manchester, New Hampshire. Hart came up short in a title fight against Rawlings at BKFC 2 in August 2018, losing by way of split decision. The main event fight would go all five rounds with blood flowing from the nose of Hart who just could not get the better of the former UFC fighter. Hart never gave up, never flawed, but just was not able to solve the riddle that night in Mississippi. 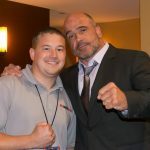 Ferea tells MyMMANews that judges will not be needed when she meets Hart. The BKFC 5 event will stream live on pay-per-view on Fite.TV. No other bouts have been announced.